Yesterday was a planned rest day for me on my calendar. Guiding has been crazy schedule wise and the fishing has been nothing short of awesome but with Renegade starting Saturday and my next actual unbooked day was Mid-August I figured I needed to throw in a rest day! Wednesday turned out to be a cancelled trip due to the forecast so that turned into a rest day instead. I really didn’t have anything planned other than some running around with the truck so I hammered that out early and looked to the skies. The sun was out, but I knew the clouds were coming. I figured I’d get a couple hours out on a Gar hunt. Since I wasn’t planning to be out long at all I went alone, something I never do. 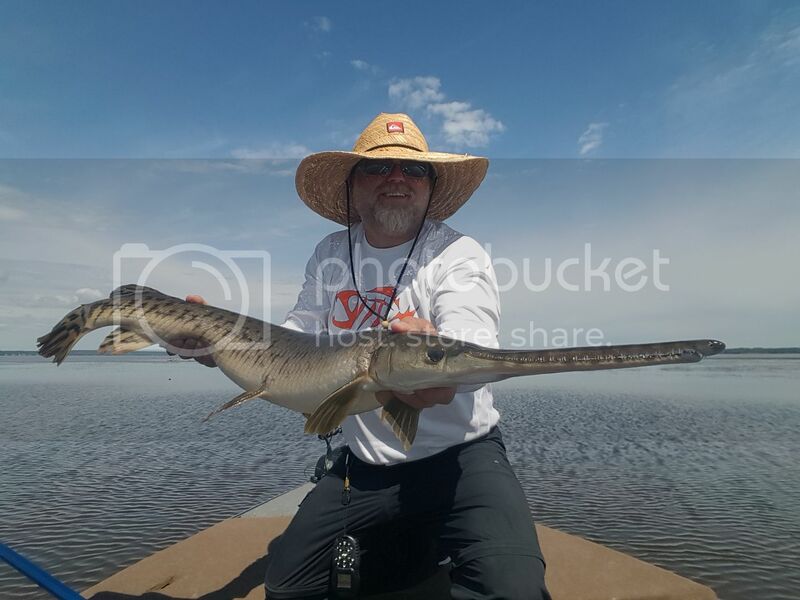 Launched the boat at 10 AM….at 1030 I landed the first Gar I saw on my first cast. Turned out to be 50 inches on the bumpboard. Little did I know how significant that fish would become later. I plucked away at a few more Sunbathers in the 45 inch range, chased a monster for a bit but then the clouds came. Kind of a bummer as I was having fun! 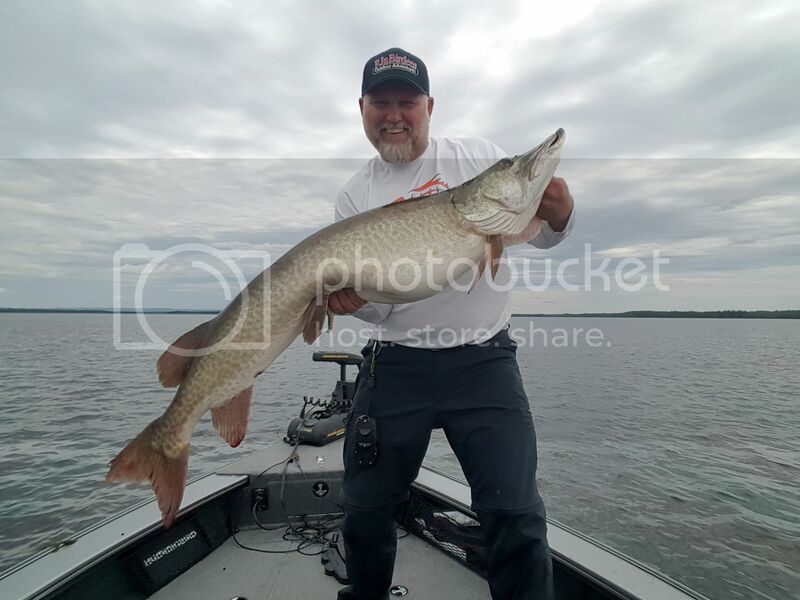 Tunes rockin’ in the Lund and snarly Gar. The clouds made it less fun. No problem. Moved out onto a flat I love to fish and started bombing a Pdeez Inline LSG Missile around. The flat just looked fishy. Weeds to near surface, nice clumps with current hitting them. Made a fateful cast that was absolutely blasted within the first 3 feet of the cast. I saw its tail and back and knew it was a dandy. Net was at the ready just in case, eased her to the boat and after about 3 attempts at the net I slid her in. I let out a squeal! I bet they heard me on shore! Got the hook out quick and laid her on the bumpboard. Please..please…please. 50.5. Boom! I always had this goal in the back of my mind that it could be done on the Mighty Ottawa. Nowhere else in the world could that happen. On our doorstep. Going to take awhile to get this grin off my face! Day 2 Bassmaster Classic with Gerald Swindle..
© 2011-2014 RJnBirdees Outdoor Adventures. All rights reserved.